A mezzanine adds an inspiring, lofty feel to any home. It accentuates the height in a room and makes it feel bigger and more exciting. It can also be used to create a mini library, sleeping loft or extra living area of the home. Although mezzanines were commonly used in industrial-style homes, they have come to be popular in more mainstream housing as well. Of course, the more height in the room the easier it will be. But no matter what parameters you're working within, there's definitely a possibility that a mezzanine will work for your home. Don't believe us? 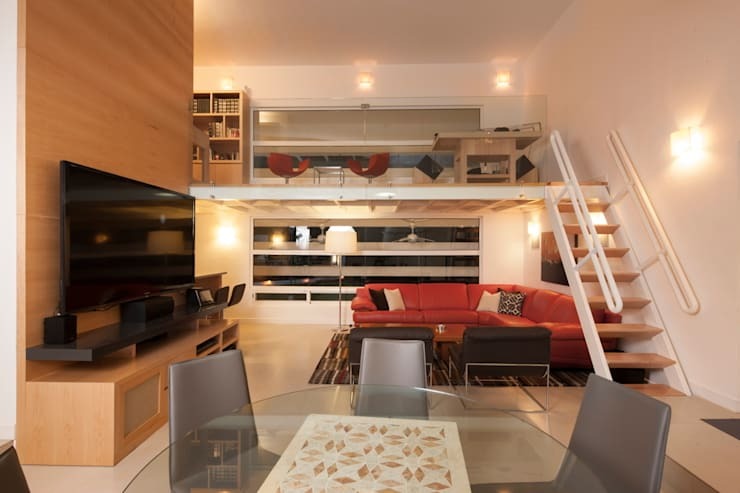 Well, check out these 7 amazing mezzanines! 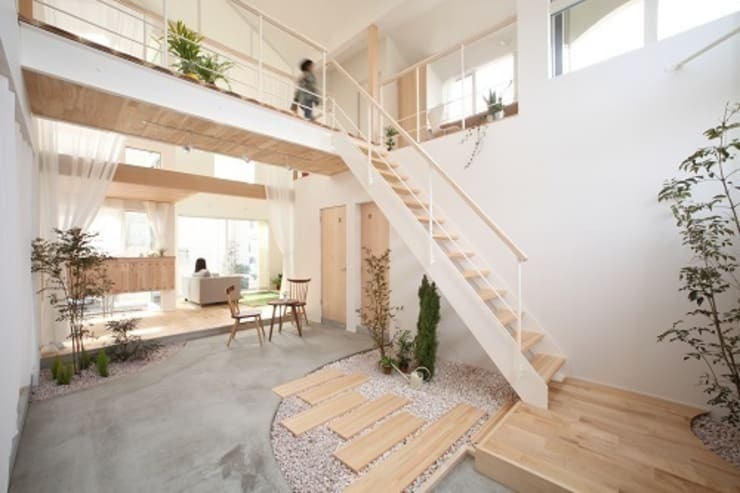 We love this Japanese home because it has two narrow mezzanines that create a really interesting relationship between the two levels. They are also finished in white and extremely visually lightweight. This adds to the lofty elevated feel of the home. Finally, note how the long white curtains run across both levels of the home. This stunning mezzanine and mini library is made from steel. The bookcase has been painted the same shade and the dark tones really integrate the two elements. The colour also turns it into a standout feature in this otherwise white interior. This home doesn't have the soaring high ceilings often associated with mezzanines and the mezzanine is actually set relatively low within the room. It's also rather narrow to avoid cutting down on headspace. If you want a little luxury, this amazing mezzanine may tickle your fancy. It criss-crosses the huge room and has a spectacular spiral staircase as well. Just imagine how different this home would feel if it were designed as a standard two-level home. A mezzanine doesn't need to be large to be impressive. 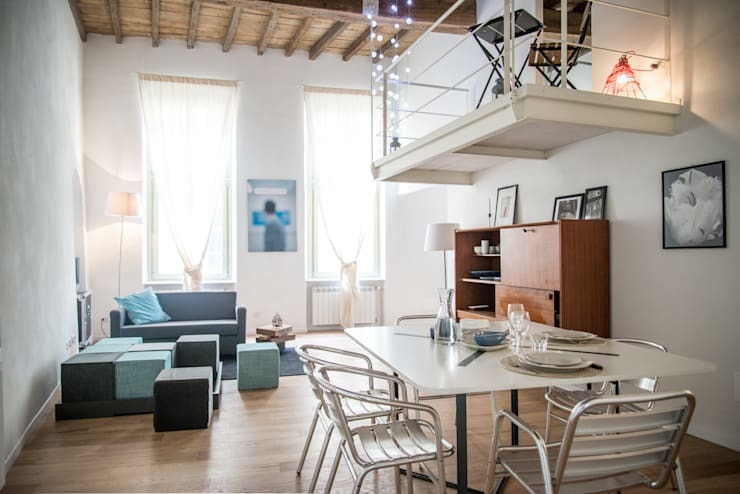 This romantic little mezzanine is part of an old Italian home. It's tiny and pops out over the dining area. This means that it barely intrudes on headspace and could possibly work in a home with more modest ceiling height. Natural light is often sacrificed in a mezzanine, so the architects at Bilune Studio have created this amazing mezzanine with a glass floor! This gives both levels an impressive and luxurious feel. 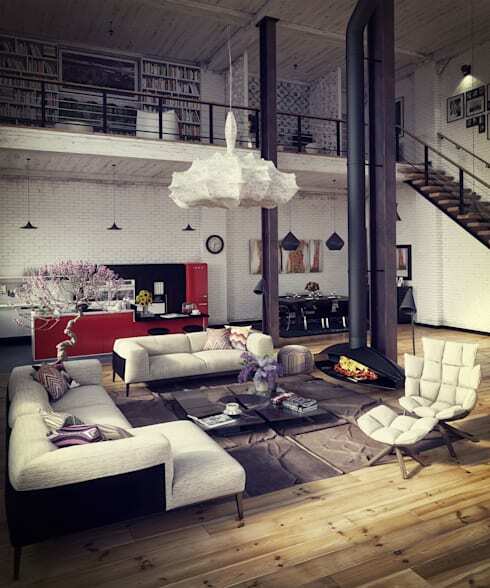 No article on amazing mezzanines is complete without an industrial style home. The impressive iron support beams, rustic wooden floor and iron railings all suit this industrial mezzanine perfectly. Note how all the dark colours have been relegates to the upper half of the room. This makes the room feel taller and even more impressive. 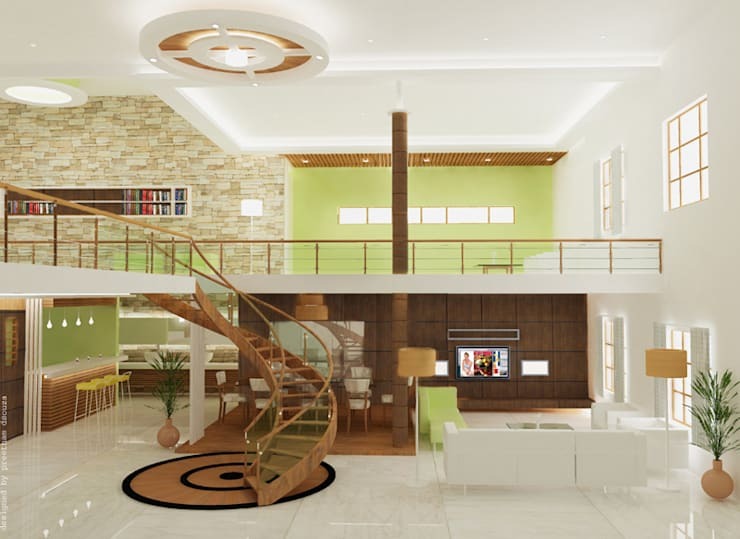 Modern apartments can also have beautifully designed mezzanines. The structure will add a lot of visual weight to a relatively modestly sized space, so glass walls and fine white bannisters are a good match for this style of home. For more inspiration, check out 9 perfectly decorated apartments to copy. 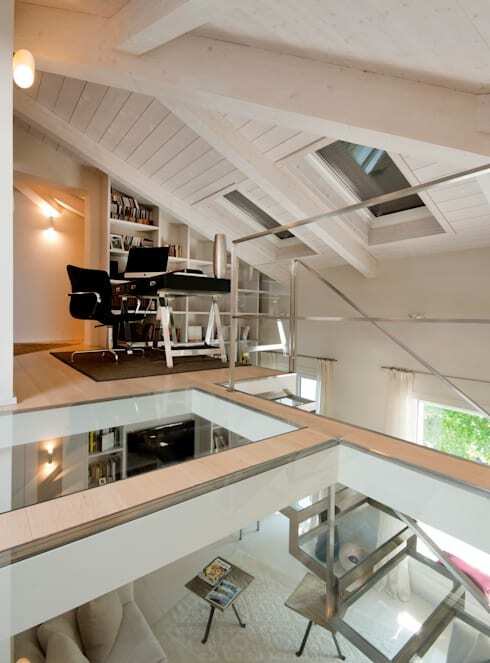 Which of these mezzanines is your favourite?